Let go and unburden the soul of stresses and strains from life back home, unwind by the dazzling turquoise ocean and gently caress the sand with your toes. Picture yourself in the lap of luxury with accommodation that boasts a sanctuary status. There's residence villas, pool villas and a presidential suite. 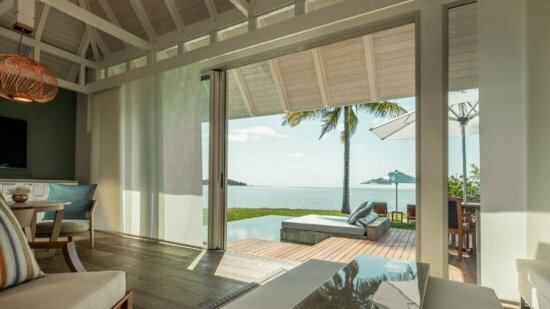 Villas that offer private plunge pools, gardens and beachfront access, outdoor showers and separate master bedrooms; villas that are perfect for families with precious little ones, and villas that are ideal for indulgent or celebratory visits. Revel in full spa services infused with cultural traditions and modern therapy, fragranced with signature oils and enriched by an array of beauty and wellness treatments. Set the scene for children by letting them experience Four Seasons' extra-special, Hobbit's kids' club, a club that's so attentive to the art of fun and adventure, it'll be an unforgettable journey for them. Older children may not want to let you in to the secret but Four Season's have something for them too! Just check out Karokan with its very own disco! The Four Seasons Resort at Anahita boasts an idyllic location on its own private island. Located on its own island just outside of Beau Champ, the resort boasts all the amenities you could possibly desire onsite. Sir Seewoosagur Ramgoolam is approximately 36km away from the Four Seasons Resort at Anahita. Setting the standard for ultra-extravagant holidaying, this beautiful accommodation features panoramic vistas that can be enjoyed whatever the moment from expansive terraces that are an extension of the interior living space. Dining, lounging and sunbathing areas, a private, heated plunge-pool and a beachfront location all combine to provide this luxury. Continuing the Sanctuary Pool Villa design, this luxurious choice is metres from the beauty of the sapphire Indian Ocean. 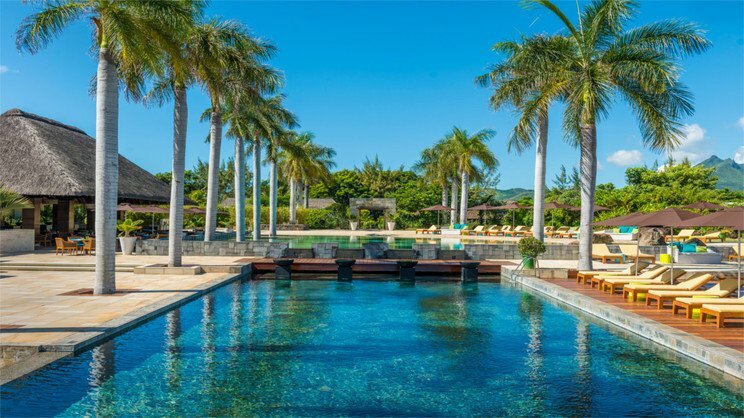 With a heated infinity pool framed by these stunning beachfront views, extensive outdoor living that almost doubles the living space to twice it's size, you'll have access to some of the most indulgent accommodation on the island. Seclusion and privacy are the key to relaxation here, along with the many privileges to enhance your decadent vacation. 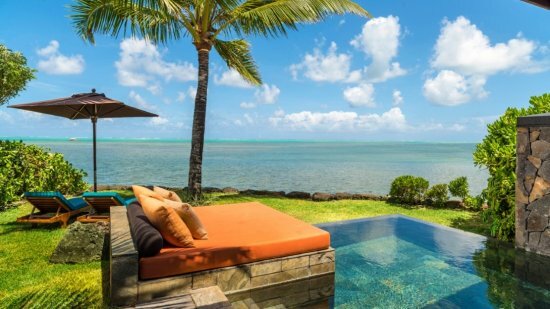 Located on the soft sand, with an impressive layout that incorporates a private plunge-pool and lush garden, these stunning villas offer that special Four Seasons touch. Relax with the in-room privileges, soft and natural decor, 107 square metres of outdoor living space and a fabulous, contemporary feel throughout the accommodation. Perfect if you're after that little bit extra to a celebratory break. Offering the same luxurious feel and interior design similar to the Beach Pool Villas, these ocean-front gems are perfect for relaxing by lagoon waters on the private terrace. If nature leans more to your holiday bliss then select one of the mangrove or garden villas for their privacy and sheer tranquillity. Nature is at it's best here and is complemented by the modern design and array if amenities within the beautiful accommodation. 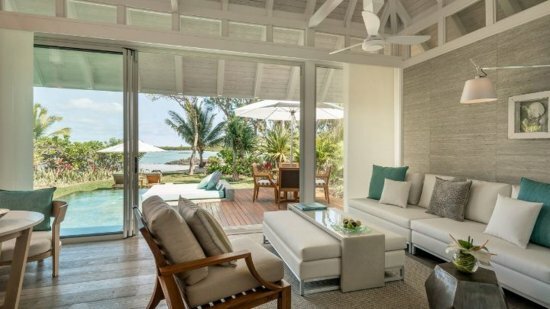 Presenting the very best in Four Seasons accommodation, this special retreat is poised on the tip of this private island able to enjoy the most stunning views over the lagoon. 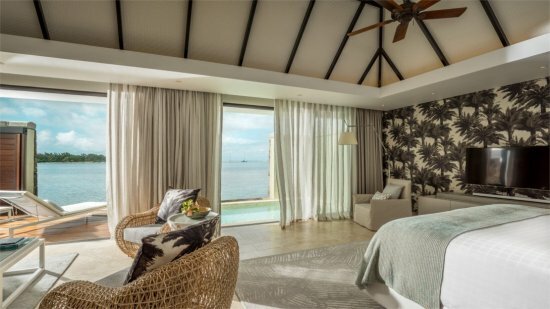 The master bedroom looks on to the infinity pool and there is the flexibility of a further two - four bedrooms connected by the generous lounge area. 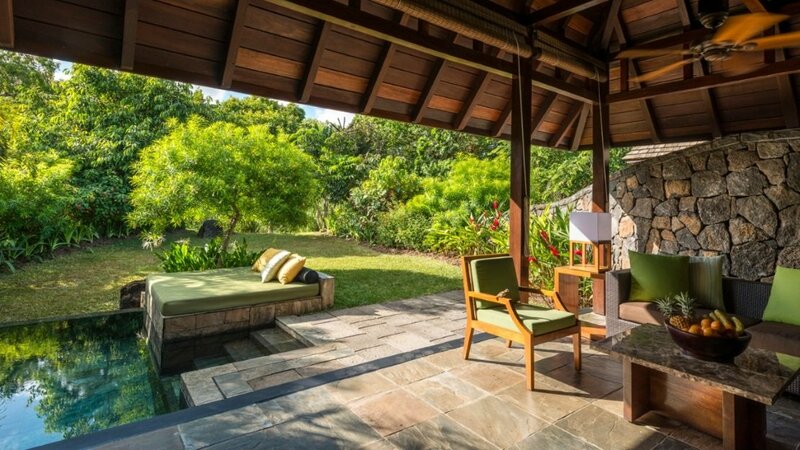 The patio and private pool area is perfect for relaxing in complete privacy, alternatively Bambou Beach is a minute away from this elegant accommodation. 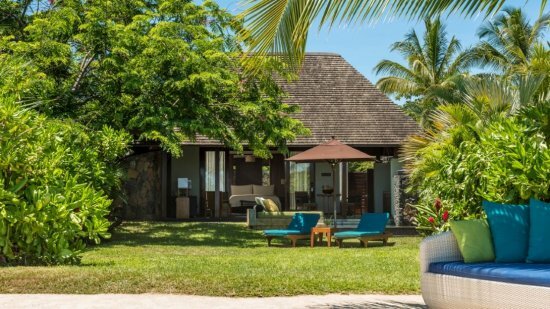 Stroll along the beach under twinkling stars after a romantic dinner, or linger in the O-Bar for cognac and cigars, this is private island holidaying at its finest with Four Seasons Mauritius Resort. Enjoy signature Italian dishes in an elegant environment here at Four Seasons Mauritius. Open for breakfast and dinner, this beautiful venue is also the home to a fabulous wine cellar with the spotlight on French-sourced wine. More than 400 labels in fact. With chef's expertise, the world is your oyster; literally, if you're ordering from the exquisite seafood menu! There are Zilwa and African theme nights thrown into the mix too. This is the much loved clubhouse where Mediterranean favourites can be enjoyed along with classics such as burgers, salads and Panini.